Common Cause, the NGO which has challenged the appointment of Rakesh Asthana, as special director of the Central Bureau of Investigation on October 22, in the Supreme Court, today filed an additional affidavit, disclosing new material, which further substantiates the grounds raised by the petitioner in the writ petition. Common Cause has challenged the appointment on the ground that Asthana is not a person of impeccable integrity. It appears that the CBI director, Alok Verma opposed Asthana’s appointment in writing, and provided information to back it up, to the selection committee in a sealed cover. A hand-written document in which Asthana’s name figures as an alleged recipient of bribes to the tune of over Rs. 3.5 crore was disclosed by Swaraj India leaders, Prashant Bhushan and Yogendra Yadav at a press conference on November 7. This document is reportedly among the many annexed to a first information report filed by the CBI on August 30, 2017 during the raids conducted by official agencies in June 2011 on premises located in Vadodara, Mumbai and Udagamandalam associated with a company called Sterling Biotech which is part of the Sandesaria group of companies. It has been alleged that persons associated with Sandesaria group have bribed Asthana and three serving officers of the Income Tax Department. The case, which was initially mentioned before the bench of Justices J. Chelameswar and S. Abdul Nazeer on November 9, when it directed the listing of the matter on November 13 before 3rd Court. On November 13, at Court No.3, Justice Navin Sinha, sitting with his senior colleague, Justice Ranjan Gogoi, recused from hearing the matter. On November 17, when the matter was listed before the bench of Justices R. K. Agrawal and Abhay Manohar Sapre, Prashant Bhushan, on behalf of the petitioner, sought a week’s time to file additional documents. The bench granted the time, and directed listing the matter on November 24. In the additional affidavit filed today, it is disclosed that Ankush Asthana, son of Asthana, was an employee of Sterling Biotech between 2010 and 2012. As per the CBI’s FIR, the company was engaged in delivery of large payoffs to various individuals and had opened a number of offshore entities and various benami companies in India to further their illegal operations. From this, the petitioner infers that Asthana had close nexus with the tainted company. The second affidavit further claims that a party held for the marriage ceremony of Asthana’s daughter last year was organized at the farm house of the Sterling group at Vadodara. The petitioner has submitted in the second affidavit that the decision of the Selection Committee to appoint Asthana as Special Director rejecting the considered opinion of the CBI Director, without any effective reasoning should be considered invalid. As the Additional Director works under the Director, the latter is in the best position to judge his suitability for promotion, the affidavit says. In Vijay Mallya’s extradition proceedings in U.K., a senior professor of the School of Oriental and African Studies (SOAS), University Of London, reportedly engaged by Mallya’s lawyer, has, in a statement to London court, cited the recent promotion of Gujarat-cadre IPS officer Rakesh Asthana as the CBI special director to highlight the “lack of integrity” in the way criminal investigations and prosecutions are carried out in India. The Supreme Court had stressed the principles of impeccable integrity and institutional integrity for the selection of key public servants in institutions. In 2011, the Court struck down the appointment of the then CVC, P. J. Thomas, on this ground. 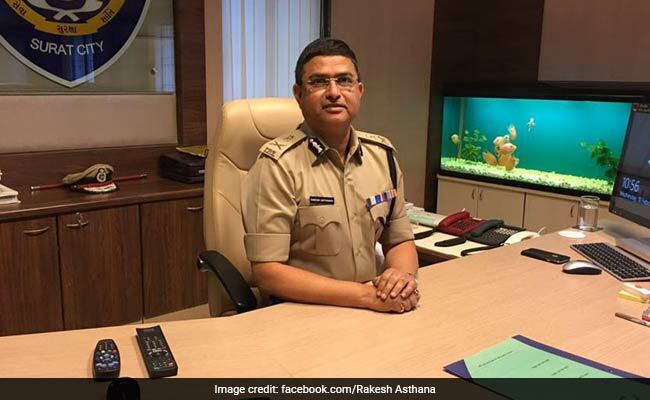 Rakesh Asthana’s image from here.